To begin with, this write-up will not get into the initial years of Hindi pulp fiction in India (quoting Ibne Safi, Jasoosi Duniya, the narrow lanes of Meerut or Delhi-6), as a lot has been already written and read in the last few years on the said subject in details. 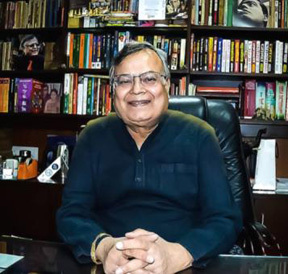 Also this personal piece will not get into how popular Hindi pulp fiction has been since the 60s, how Surender Mohan Pathak became the KING of his profession around the 80s-90s or how he introduced many entertaining, innovative characters in his long illustrious career of a crime-fiction writer. Why I am not interested in talking about that? Because if an author has been writing, being published and followed by millions of readers all over the country for six long decades - read again - for more than half a century to be precise, then nothing more needs to be said, written or explained about his caliber or achievements, as I strongly feel. Hence leaving that for others, I would like to boldly reveal the hypocrisy of publishers and media in India exposed by this one man alone, popularly known as SMP – the short form of Surender Mohan Pathak, penned by his ardent fans. So here it goes what actually happened in the new millennium. 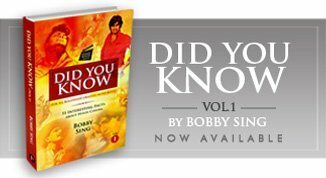 Post the translation phase in his career, SMP began writing his own content in the early 60s, got stupendous fame in the later years of the last century and has written almost 300 novels in this time span continuing till this very date. But still……. no mainstream publisher or media in India took notice of his immensely successful career, till a couple of his bestsellers got translated in English, published by Blaft Publications (Chennai) in 2009-10 as THE 65 LAKH HEIST and DAYLIGHT ROBBERY widening his reader base. Interestingly here too, it was not his original Hindi writings, but their translations in English that became an unexpected success, forcing the Indian media and publishers to take a respectable notice of an author writing since half a century, fighting through the changing times and competition enjoying a humongous fan-following (as a rare cult phenomenon). Taking a clue from the success of his translations by Blaft, the team at Harper Collins India sensed great potential in his original works too and decided to publish a fresh, Hindi SMP novel giving it a fair chance as THE COLABA CONSPIRACY released in 2013-14. The huge success of the novel seriously surprised them all, resulting in many continuous new releases by Harper, along with re-releasing a few old SMP titles too, in two stylishly designed box-packs winning over the die-hard fans. And that’s exactly from where the hypocrisy of Indian media and publishers got revealed. Giving you the actual picture, the moment the name Surendra Mohan Pathak got associated with a reputed production house (coming from abroad), publishing his original works in Hindi without any hesitation or guilt……, our Indian media transformed into a loyal fan too, which was not even interested in publishing or writing about the so called low quality Hindi crime-fiction novels and their writers. The moment SMP’s novels got the stamp of Harper Collins, the literary cream of India had to accept the unparalleled success of an author existing right within themselves, silently writing since last six decades and enjoying his sincere and dedicated fan following becoming their humble friend. The moment Harper Collins displayed their pride in associating with SMP, somehow our own country’s media and publishing houses started feeling the same pride too, who earlier used to categorize such writing as cheap, road side stuff to be brutally honest. Moreover, the moment Harper Collins started inviting SMP on stage in press releases, literary discussions and reputed programs, the Indian literature and other books-festival organizers started inviting him too, as an icon, who was earlier (perhaps) not fit or important for such festivals due to their own conservative, unaware and questionable mindsets. In other words, here was a man - who was passionately and religiously writing his amazingly successful novels since 1960s and the Indian media and renowned Hindi publishers never gave him his much deserving due till the foreign publishers operating in India got him on board recognizing his mega-stature. In fact post getting a big thumbs up from the readers all over the country for both his old and new novels published by Harper Collins, the name Surender Mohan Pathak became so huge that now his official biography has been published by another reputed publishing house Westland Books (now owned by Amazon group) in three thick parts, that also happens to be the first ever biography of a Hindi crime fiction writer in India, setting a new benchmark. However as a concluding note, would like to mention another bitter truth about this ‘newly granted respectful status’ to SMP in the last decade or so. It’s a known fact that both Harper Collins and Amazon are foreign based companies or publishers, thoughtfully coming up with SMP novels and biography (both in Hindi and English) breaking a set trade pattern. And that’s because the reputed Hindi publishers in India, probably still have issues in publishing Hindi crime fiction novels following the same age-old, biased and sick mindset of the last century. But then, that has always been a tradition representing our Indian mentality, wherein we tend to give more respect and honours to a talent, only when it is first recognized by the foreigners, displaying a much better vision and understanding of the artistic medium. In reality it’s nothing else than hypocrisy at its best if one wishes to accept…... and therefore the title - SURENDER MOHAN PATHAK - The name who exposed the hypocrisy of publishers and media in India.